Buy Sojade Organic Rice Drink Calcium 1lt in the UK from our online shop or directly from our independent Scottish store. Rice alternative to milk is a great way of swapping milk for a low calorie drink. Or for those intolerant to lactose and milk. Oliebollen are normally made with milk, egg and wheat flour, but this recipe uses milk alternatives and no egg. So suitable for vegans. This recipe contains 250ml almond or rice milk. We sell real Sojade and other Dairy Free Drinks & Creams directly from our shop in Scotland and online throughout the UK. View more products from Sojade. Where can you buy real Sojade Rice Drink Calcium safely online? 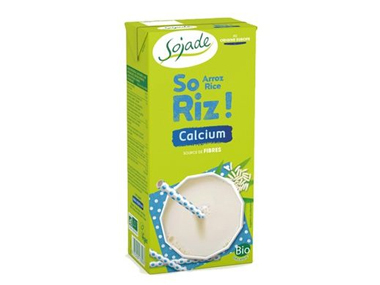 If you are wondering where you can buy Sojade Organic Rice Drink Calcium 1lt safely online in the UK, then shop with us.